This card was so fun and easy to create! 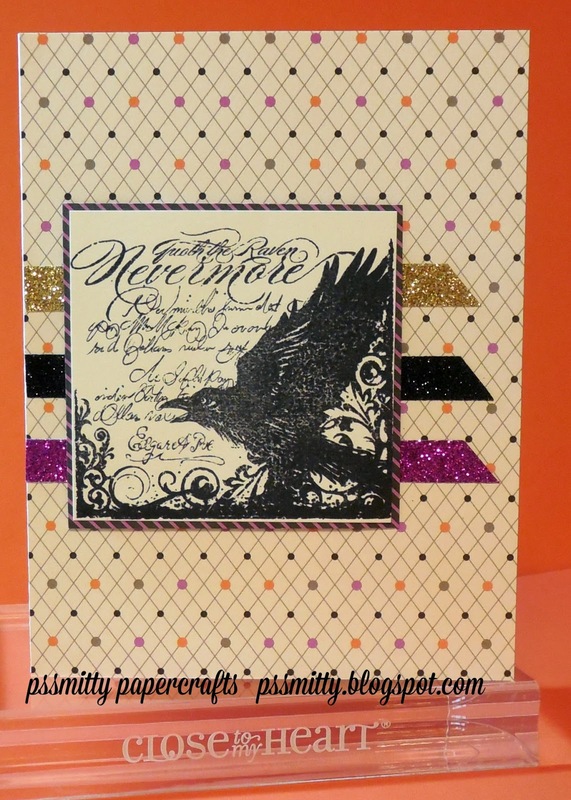 AHSC #72 was the perfect inspiration to use the Raven stamp and get my Halloween papercrafting started! 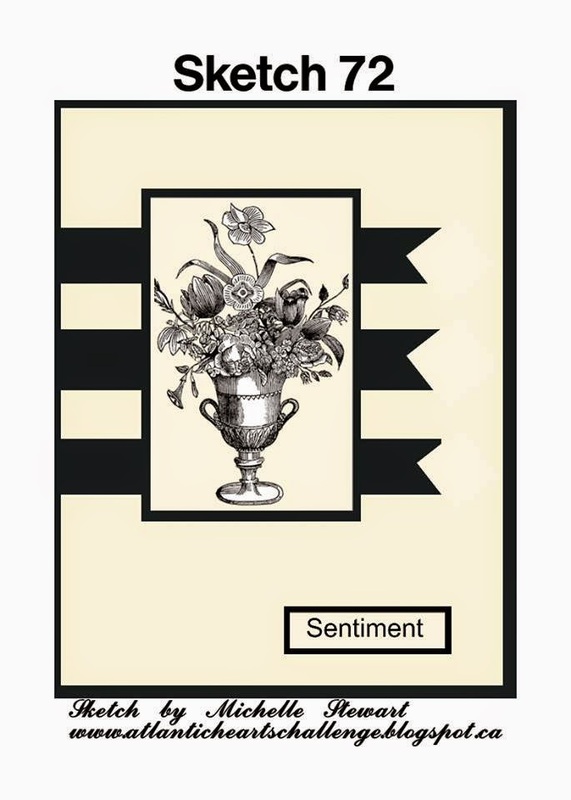 The accents on the card are pieces of shimmer trim in gold, black and thistle. The stamped image was mounted with a thin border of the thistle/black stripe B&T from the Scaredy Cat paper pack and adhered to the card with the CTMH thin mounting tape. You can visit the Atlantic Hearts Sketch Challenge blog page here. Oooh, loving this card! The glitter tape is great behind the raven! I love this card! I've been eying that stamp for awhile. Everything works so perfectly together! Thank you for joining us AHSC. This card has come together so well, I love it! Thanks for joining us at AHSC this week. I love this stamp.. Great card.. that paper is a must have. Thanks for playing along with us at the AHSC. I love this! Love that you used glitter paper and that stamp rocks! Thanks for playing along this week at AHSC. Fabulous card, love the use of the shimmer trim behind the stamped image, guess I need to order that stamp now. Thanks for playing along with us this week at AHSC. Loving the glitter trim, so great looking. I also really love that stamp set. Great job. Thanks for playing along with AHSC. Easy is so awesome! I love the 3 different colors of shimmer trim! Great card! Thanks for joining us at AHSC! what a great card! love the shimmer trim! thanks for joining us at AHSC!